Freya’s Little Legs – 11 Months since SDR! Freya has cerebral palsy and was born with two holes in her heart, fighting four major operations since birth! Back in January Freya underwent an SDR (selective dorsal rhizotomy) procedure that has reduced spasticity by 65% and relieve her of pain and improve her speech. She now continues to have intensive physiotherapy three times a week that will enable her to become stronger and therefore be more mobile and taker her first steps out of her wheelchair. So far Freya’s campaign has raised over £32,000. In the New Year, Freya’s campaign will continue to fundraise for her ongoing medical care, therapy and equipment, including the annual Scooter Grannies Event. An essential part of Freya’s post op recovery programme is regular physiotherapy which will be needed for years and years to come (at a cost of £240 per week, and currently cannot be provided by the UK healthcare system) – without this the rate of success is significantly reduced for her. This year they are taking on the challenge of scooting 35-54 miles from Manchester to places such as Blackpool, Chester, Leeds on kids push along scooters dressed as grannies. This is to raise funds and awareness about Freya Bailey and hopefully other children in need within their area. Support Freya or even grab yourself a scooter and join them! 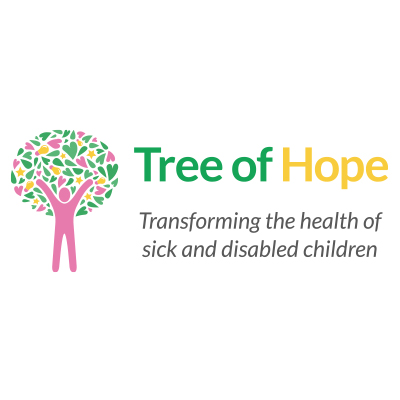 If you would like support in fundraising for your child’s medical contact Georgie or Lee in our Family Support Team on 01892 535525 or via families@treeofhope.org.uk.